When and where is Atlanta Green Drinks held? Who can attend Green Drinks? Anyone! No membership is required and entry is free. Nope, just show up and feel free to bring a friend. What happens at Green Drinks? 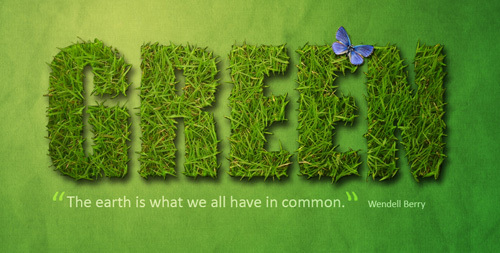 Green Drinks is completely casual, unstructured, and all social. Just grab a name tag at check-in and you're good to go. Occasionally we partner with another nonprofit and those months may be slightly more formal events, but it's still always a Green Drinks. Who goes to Green Drinks? We're quite a diverse crowd (all ages, backgrounds, professions) and the group can vary quite a bit from month to month. We've got our regulars, occasional attendees, and a healthy number of newbies at each event, and (while I can't speak for everyone :) we're very friendly. Is Green Drinks free to attend? Entry is always free. It's usually cash bar drinks when we're meeting at a restaurant / bar. Some months (usually those at non-traditional facilities) we do have free drinks as well. What's the idea behind Green Drinks? We don't promote any agendas or raise money for any specific causes or groups at our events. (There are many other fantastic orgs that already do this.) There should be at least one event where folks can do nothing more than relax and socialize with others within the environmental community, and that's Green Drinks. How can I host a Green Drinks? Please email info@atlgreendrinks.org if you have a spot in mind and/or would like to donate drinks for an upcoming event — we'll happily partner with another green non-profit. Our December event is a more elaborate affair and to keep everything free for guests, we do need sponsor support. Yes! We can always use 1) greeters at check-in for monthly events; 2) photographers to take pics of guests; 3) musicians who'd like to perform; 4) graphic designers (!!!) for monthly flyers/event posters; 5) MailChimp pros; 6) website assistance (content & technical); and 7) all variety of help with the big year-end party. Please email Sam at info@atlgreendrinks.org or stop by the front table at any event to say hello. Thank you! Who runs Atlanta Green Drinks? Green Drinks is an independently run, all-volunteer operation, and has had several organizers and many many contributors over the years. Sierra Club's Colleen Kiernan organized the first events back in 2005, Environment Georgia's Jennette Gayer took over in 2006, Inman Solar's Brion Fitzpatrick came on board in 2008, Georgia Conservancy's Generation Green board hosted for 2013, and Imagine Atlanta's Samantha Sayer currently organizes the events. What is Atlanta Green Drinks NORTH? Is it still running? A North branch of Atlanta Green Drinks was started up in 2012, organized by Cecie Harrington from The Original Rainwater Pillow. Events ran for the better part of the year at restaurants in Roswell, Norcross, and Alpharetta. Alas, most of us still reside ITP, which is why (while we try to vary the neighborhoods) we mostly meet at intown locations. What's the story behind Atlanta Green Drinks? Back in 2005, the Georgia Environmental Council (which used to serve as an umbrella group of sorts) had hosted a Legislative Reception and was left with a ton of extra beer. Then-Chair Michael Halicki (now Executive Director of Park Pride) reached out to Sierra Club's Colleen Kiernan (who'd earned herself a bit of a reputation as a "party girl" after having started Sierra Club & Beer two years earlier) for some ideas. Colleen knew a few people that might enjoy the leftover beer, so invites went out to all staff of all the GEC member groups, everyone gathered on the driveway of Colleen's condo building in Poncey-Highland, and Green Drinks was born — though originally no one knew there was such a thing as Green Drinks nationally or internationally (Colleen: "It just seemed an appropriate name for what we were doing"); they registered as the Atlanta chapter at greendrinks.org shortly after. Other friends within the enviro community hosted house parties early on, including Polly Sattler and Andrew Feiler, SweetWater kept donating the beer, and eventually Green Drinks graduated to formal restaurants & bars. To quote Michael Halicki, "The motivation was to have a gathering where people who care about the environment could talk to one another as opposed to being talked at and trying to squeeze networking in at the beginning and end of events that are packed to the gills with speakers. We all went to those types of gatherings and were frustrated. As Seinfeld was 'the show about nothing,' Green Drinks had similar aspirations in terms of program and content." Colleen left Sierra Club in 2006, at which time Jennette Gayer (current ED of Environment Georgia) moved to Atlanta and took over the reins. Inman Solar's Brion Fitzpatrick (also then Georgia Solar Energy Association Chairman) came on board around 2008 and organized Green Drinks for several more years, until volunteer members of Georgia Conservancy's Generation Green board took over for 2013. (Also check out their Save Water, Drink Beer event.) Samantha Sayer began helping with Green Drinks in 2011, was part of Gen Green's team (including Carly Queen & GC's Advocacy Director Leah Barnett) in 2013, and has been organizing GD since 2014... While the crowd and the city has evolved over the years, a number of original friends remain, and the Atlanta Chapter has pretty much been running monthly since 2005. Can I attend Green Drinks in another city? When did it start? There are over 400 cities around the US currently hosting Green Drinks events. While each is independently organized, they all generally operate by the same "Code". 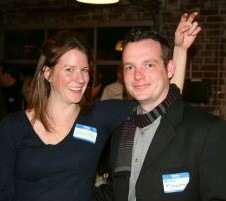 Visit the official greendrinks.org site for city listings. The very first Green Drinks was held in London in 1989. [full story] There are currently active chapters in over 500 cities worldwide. How can I get more involved in the local green community? So you've been to a Green Drinks, now what? In addition to our monthly events, we hope you'll find this website a useful connector. While it's still a work in progress, please check the GREEN RESOURCES section going forward for city wide events, lists of other organizations and volunteer opportunities, jobs when available, and other helpful resources. And if you've not yet made it to an Atlanta Green Drinks, we hope to see you soon!